One of the most common health issues I see in new patients is unstable blood sugar. Unstable blood sugar underlies many of the symptoms that autoimmune patients cope with, including exhaustion, insomnia, anxiety, depression, and brain fog. This is a relatively simple issue to remedy, and many patients don’t realize how deeply it impacts their state of health. When you understand how and why blood sugar balance matters, and you begin to fix it, you create a stronger foundation for healing — and have more energy and will to keep at it. Glucose is the brain’s fuel source. Stable blood sugar is vital to healthy, balanced brain chemistry and the prevention of neurodegeneration (early brain breakdown). When blood sugar is low, not enough glucose gets to the brain and the brain will degenerate and not function well. This is why you see people with low blood sugar “bonk,” or become spacey, lightheaded, shaky, and irritable if they go too long without eating — their brains aren’t getting enough fuel to operate. Blood sugar balance is one of the most important factors to address when working to improve brain function. Many people with blood sugar problems end up with depression and impaired brain function, due to the inflammatory cascade that occurs when blood sugar drops and spikes too often. In fact, chronic blood sugar imbalances and their inflammatory effects are now suspected to play a large role in the development of dementia and Alzheimer’s — enough so that some researchers and practitioners are calling Alzheimer’s “Type 3 diabetes” due to the inflammatory blood sugar connection. When examining your blood sugar balance, one of the most important things to pay attention to is how you feel after you eat. If you feel energized and your brain function is restored, you are likely dealing with low blood sugar. In other words, it’s not normal to be relieved and feel refreshed after eating; you should simply feel the same as before but no longer hungry. Our busy lives don’t do much to assist with stabilizing low blood sugar. Do you have a habit of skipping breakfast and just grabbing a coffee on the way out the door? Or, do you miss lunch and then snag a pastry and coffee to boost you out of that afternoon slump? Do you eat meals but all your snacks consist of sweets with no protein or healthy fats? If you answered yes to any of these, you are undermining your blood sugar balance and your brain function. On the other hand, if you feel sleepy after you eat, it’s probably high blood sugar (insulin resistance). 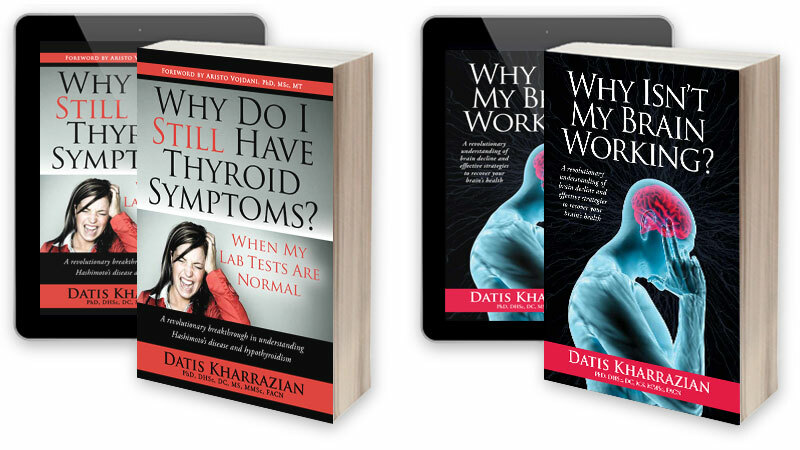 I write more about high blood sugar in my thyroid and brain books, as well as in my online Save Your Brain course. Eat a breakfast of high quality protein and fats. If you have hypoglycemia, eat a small amount of protein and/ or healthy fat every two to three hours. Find your carbohydrate tolerance and stick to it. If you feel sleepy or crave sugar after you eat, you have eaten too many carbohydrates. You can also use a glucometer to check your fasting blood glucose, which ideally should be in the mid- to high-80s, and at least between 80–100. Do not eat sweets or starchy foods before bed. This is one of the worst things the hypoglycemic person can do. Your blood sugar will crash during the night, long before your next meal is due. Chances are your adrenals will kick into action, creating restless sleep or that 3 a.m. wake up with anxiety. Avoid all fruit juices and carrot juice. These can be more sugary than soda, and will quickly have you crashing. Eat a well-balanced diet consisting mostly of vegetables, and quality meats and fats. Eliminate food intolerances and allergens. Taking the wrong nutrients for your blood sugar condition has the potential to make your condition worse, so it’s important to take the right ones. Low blood sugar is just one kind of blood sugar imbalance, the other is high blood sugar. Sometimes a person will have high blood sugar (insulin resistance), or swing back and forth between low and high blood sugar. Any of these blood sugar dysregulation patterns are inflammatory and destructive to brain function. Managing your blood sugar balance is a powerful tool you have at your disposal at all times. 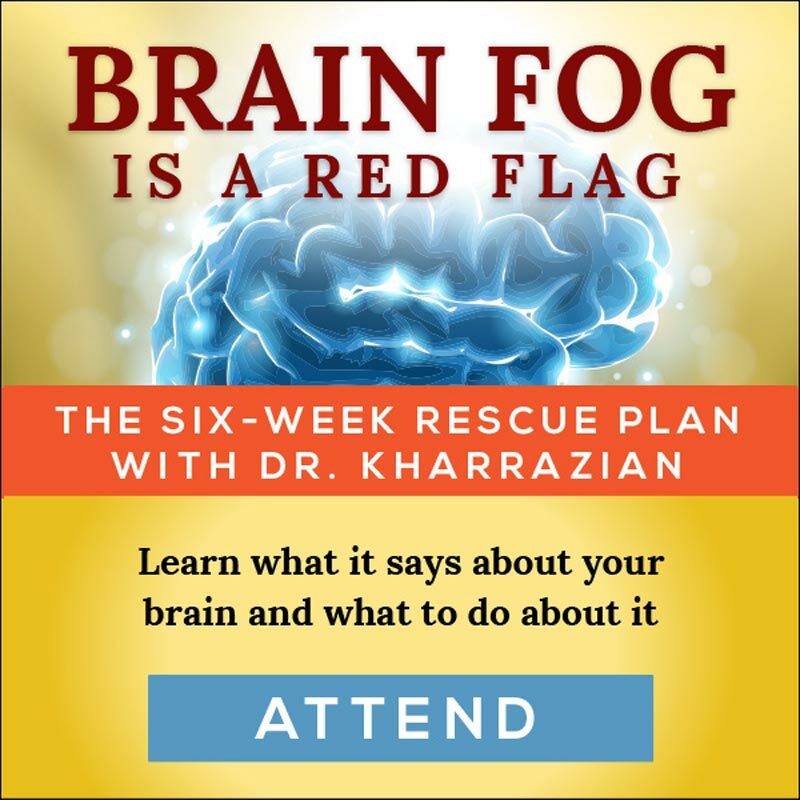 If you want to learn more about blood sugar and how to stabilize yours, I invite you to read my thyroid and brain books or join my online course, Save Your Brain: The Six Week Rescue Plan. Eat a breakfast of high-quality protein and fat. When you wake up in the morning, you have gone a long time without eating. Chances are your adrenal fight-or-flight hormones have been called into action (particularly if you woke up at 3 or 4 a.m. feeling anxious). You need to calm down your system by eating a low-carbohydrate breakfast of high quality proteins and fats. Eating breakfast can be difficult when you have abnormal blood sugar levels; you may wake up with no appetite or even feeling nauseous. 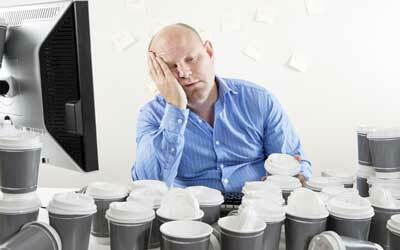 That is a side effect of your adrenal hormones, and that cup of coffee is only making the problem worse. You simply must force yourself to eat some protein, even if it’s a little bit. It will dissipate your nausea, and in just two to three days of stabilizing your blood sugar you will no longer wake up feeling nauseous, and you will be able to increase your protein intake for breakfast. Supporting blood sugar issues is futile unless you eat breakfast. If you like to work out first thing in the morning, just make sure you eat within one hour of waking up. If you have hypoglycemia, eat a small amount of protein every two to three hours. This does not mean eat a full meal every two to three hours — a few bites will do. The name of the game is to keep your blood sugar stable and leave the adrenal glands out of the picture; they go into emergency action mode when blood sugar drops too low. Going for long stretches without eating when you have low blood sugar exacerbates your blood sugar issues, which can accelerate degeneration of the brain and contribute to brain chemistry imbalances. Nuts, seeds, a boiled egg, cheese or meat, or a low-carbohydrate protein shake are some examples of protein snacks. As your dysglycemia improves, you will find you can go longer between snacks. Find your carbohydrate tolerance and stick to it. A high-carbohydrate diet is at the root of blood sugar imbalances and accelerated brain degeneration. How many grams of carbohydrates should you eat each day? I follow this simple rule: If you feel sleepy or crave sugar after you eat, you have eaten too many carbohydrates.Sometimes insulin resistance (high blood sugar) causes you to feel sleepy even if you haven’t eaten anything starchy or sweet. In this case, you need to work with a qualified health care practitioner to reverse the problem using specific nutritional compounds that address high blood sugar. What are carbohydrate-rich foods? Grains (remember, corn is a grain), legumes, starchy vegetables like potatoes and peas, and, of course, sweets, including natural sweeteners like agave. The more processed the grain, the more likely it is to trigger a surge of insulin into your bloodstream. Many symptoms of blood sugar imbalances, such as sleep issues, irritability, and energy crashes start to diminish on a lower-carbohydrate diet. Also, unidentified food intolerances can create sugar cravings or fatigue after meals, so it’s important to find out if that’s an issue for you. Do not eat sweets or starchy foods before bed; it is one of the worst things the hypoglycemic person can do. Your blood sugar will crash during the night, long before your next meal is due. Then your adrenals will kick into action, creating restless sleep or that 3 a.m. wake up with anxiety. Avoid or limit caffeine. This includes energy boosting drinks on the market. 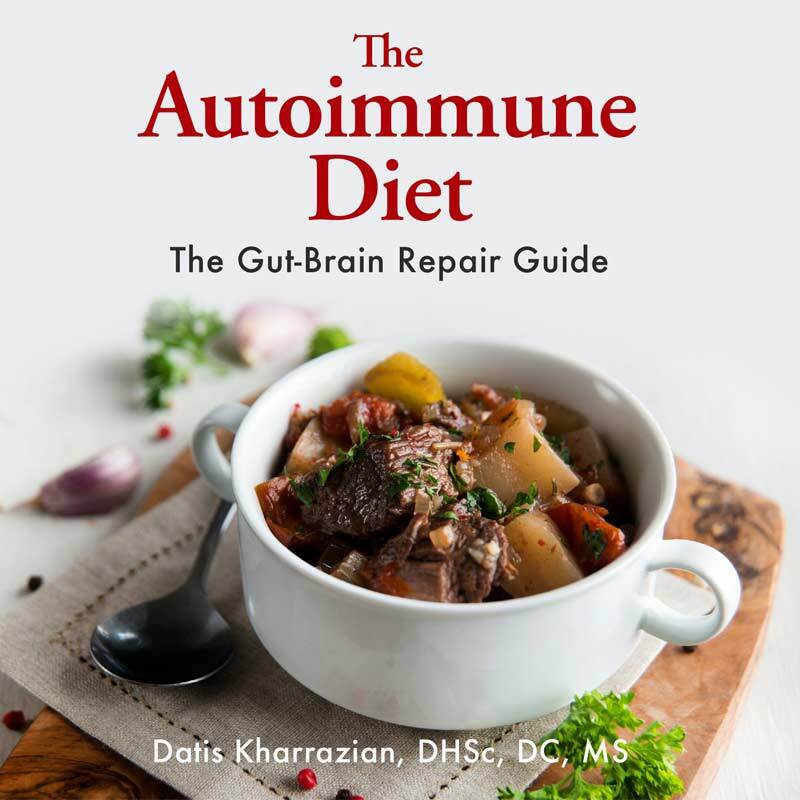 Blood sugar imbalances are hard enough on the adrenal glands whose job it is to handle our stress response, and adding in adrenal stimulants fatigues them further. Eat a well-balanced diet consisting mostly of vegetables, and quality meats and fats. A diet of junk food, fast foods, and other processed foods works against you.To restore your brain health you must find ways to restore your diet closer to what our ancestors ate. A diet dominated by leafy, green vegetables and adequate in quality protein and healthy fats is enormously restorative. Eliminate food allergens and intolerances. 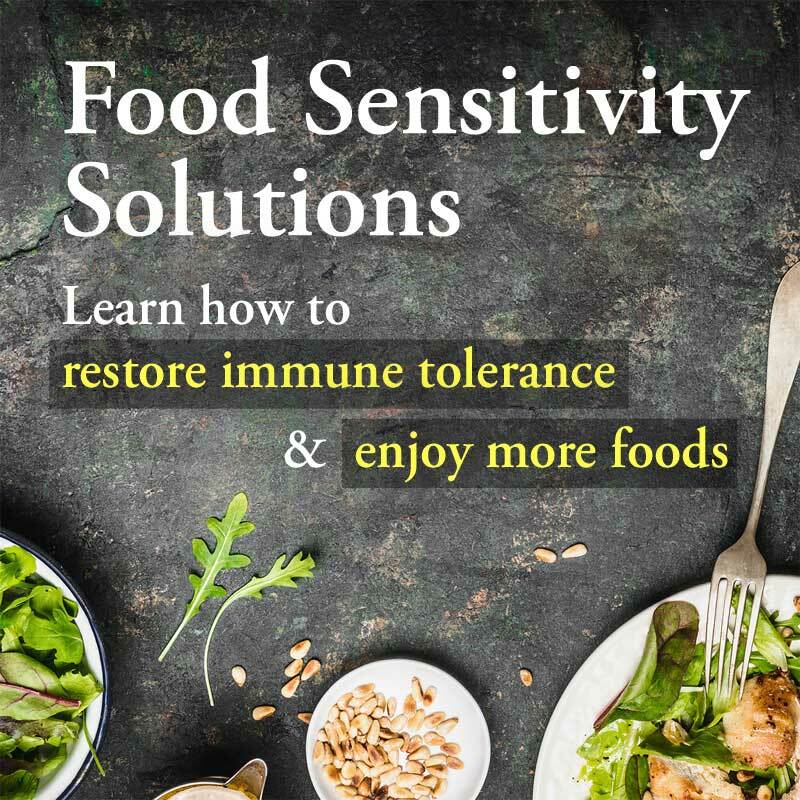 Whenever a food creates an immune response, such as an allergy or intolerance, it also creates blood sugar instability and insulin surges. Common food intolerances are to gluten, dairy, eggs, corn, soy, and yeast. Eating these foods can create sugar cravings and fatigue after meals. To stabilize blood sugar and promote brain health, problem foods should be eliminated and the gut repaired. This is explored further in my thyroid and brain books. I have reactive hypoglycemia and since hitting menopause I can’t seem to regulate my blood sugar. When I try to avoid sweets and carbs, I end up craving them. I feel like I am unable to stop eating sugar because I feel incredibly sick and weak if I don’t eat something sweet after meals. I’m stuck in a cycle. When I excercise now, my blood sugar plummets within 15 minutes and my face and hands tingle.